Alli Gerkman of Colorado Bar Association CLE. 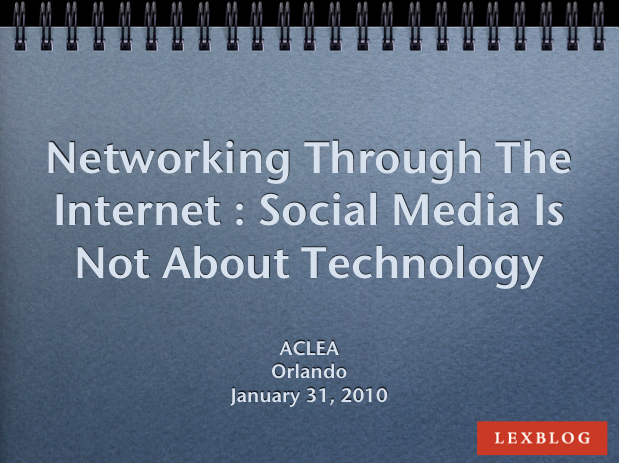 We reviewed Blogs, Facebook, Twitter, LinkedIn, and how lawyers and law firms are using them? ACLEA is a great organization with wonderful members. Highly recommend attending one of their meetings if you are in the business of CLE or in a busines serving the CLE community. And jump on the opportunity if asked to present at one of their events. No truth that I am influenced by their having beer on ice along side the soft drinks at the mid-afternoon break between sessions.